Chieftain Elite, this ultra-premium bagger pairs stunning paint completed entirely by hand with top-of-the-line amenities. 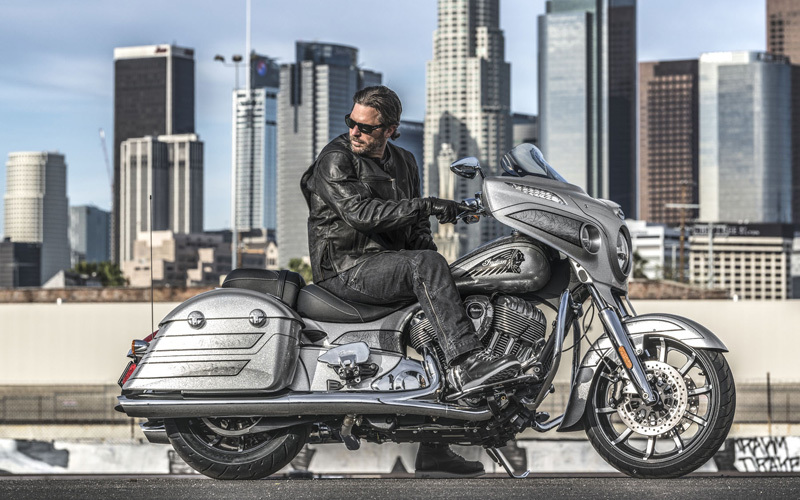 Indian Motorcycle has announced the return of the Chieftain Elite, but this time in a Black Hills Silver colour scheme. The ultra-premium bagger is hand-painted and comes with top-of-the-line amenities for the rider who demands the best of the best. The focal point is the stunning paint scheme – a high-flake Black Hills Silver colour. As the name suggests, the paint was inspired by the silver mines in the Black Hills of South Dakota, which is near to Spearfish, where Indian Motorcycle’s custom paint facility is located. A team of Indian Motorcycle experts mask the bodywork, lay the graphics and hand-spray each Chieftain Elite with each one taking 25 hours due to the time-intensive, painstaking processes that are completed by hand. Incredibly, no two bikes will look the same due to the level of human touch involved. There’s no question that this bold, one-of-a-kind bike will stand out in any crowd. The Chieftain Elite has a commanding stance from its 19-inch, 10-spoke, contrast-cut front wheel and is equipped with premium features, including a 200-watt premium audio system, a Pathfinder LED headlight and driving lights, a push-button power flare windshield, billet aluminium rider and passenger floorboards and genuine leather seats. New for this year’s Chieftain Elite are pinnacle mirrors and updated, smaller hand controls for improved ergonomics. A host of other features come standard, including Ride Command® – the largest, fastest, most customisable infotainment system on two wheels. The seven-inch, glove-compatible touchscreen features turn-by-turn navigation, customisable rider information screens and Bluetooth® compatibility. 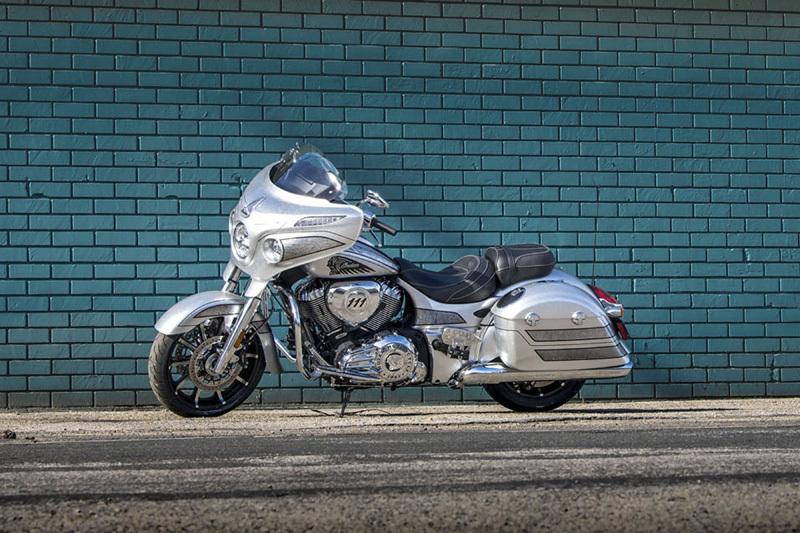 The Chieftain Elite also features ABS, cruise control, tire pressure monitoring, remote-locking saddlebags and keyless ignition. At the heart of this bike is the ThunderStroke 111 engine, the award-winning American V-Twin that delivers a monstrous 119 ft-lb of torque and power to spare in every gear. Colour-matched accessories are also available for riders who want extra protection, style and storage, including a Quick Release Trunk, Hard Lower Fairings and a Valanced Front Fender. The Chieftain Elite is a strong addition to Indian Motorcycle’s iconic lineup. Only a limited number of these motorcycles will be built.